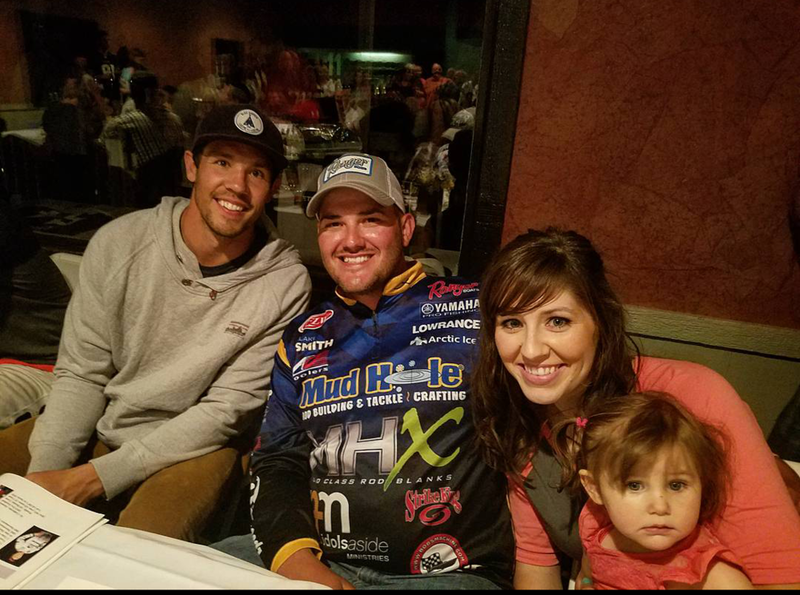 For years now I have had countless opportunities to fish with a star studded line-up of athletes and celebrities. From professional baseball and football players, to NASCAR drivers and even the one and only Johnny Morris - founder of Bass Pro Shops and owner of Ranger Boats. With each one of them comes a different attitude and mentality that sets them apart from others and a confidence that can only be defined as professional. This year i was able to fish in our friend Brian Robison's (fellow Nuthreadz team member) benefit tournament, to raise money and awareness for K9's for Cops in Wabasha Minnesota. It's an event that happens a couple times a year and has had a huge impact on providing and training K9s for law enforcement all across the United States. My pairing was none other than Minnesota Vikings quarterback Sam Bradford. Out of all the possible players, i could not have asked for a better person to have spent the day on the water with. Sam wasn't like many other athletes i come in contact with. He had a quiet reserve and humble presence that you would never expect out of an Athelete at his level. Besides the hundreds of people wanting his autograph, you would never quess he was any more than a young man from Oklahoma that liked to hunt and fish. I'm pretty sure Sam landed the first fish of the morning. A nice keeper smallmouth on a Strike King 3/8 ounce football head with a rage craw trailer. After that, it was lights out. We caught an awesome assortment of smallmouth and large mouth. Obviously there were a ton of fish up on the upper Mississippi and Brian Robison picked the perfect venue for his event. As for time on the water and our conversation it was encouraging to see a pro athlete put value into his relationship with God and his marraige. He made one statement that stood out to me. He said " i don't like to travel without my wife. If I go, she goes. It's better for our marriage not to travel alone". For someone like me that values marriage and good ole' fashion family values, Bradford's character really stuck out to me. Overall it was a great day in the water! We didn't get the win, but im sure the Heisman trophy winner wasn't too dissapointed to have caught fish and supported such a great cause.